BEECOOL technology: Breathable, fast drying materials with maximum comfort created for high performance sport. Hummel® logo print on the chest. 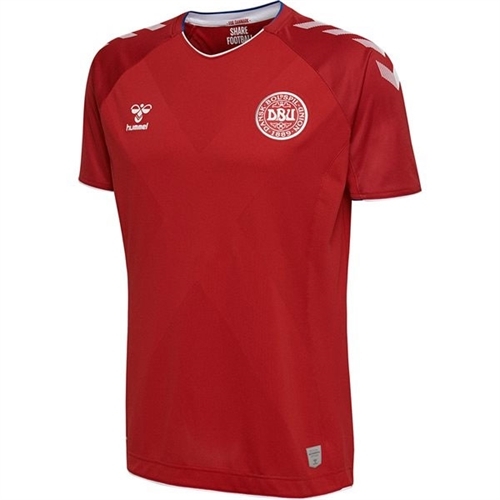 Our Hummel Denmark Home Soccer Jersey 2018-2019 has BEECOOL technology that keeps you cool on the pitch or in the stands. With a regular fit, bold one-colour scheme and woven team badge on the chest.